My prisoner sims needed somewhere to take their mugshots, so here we go! 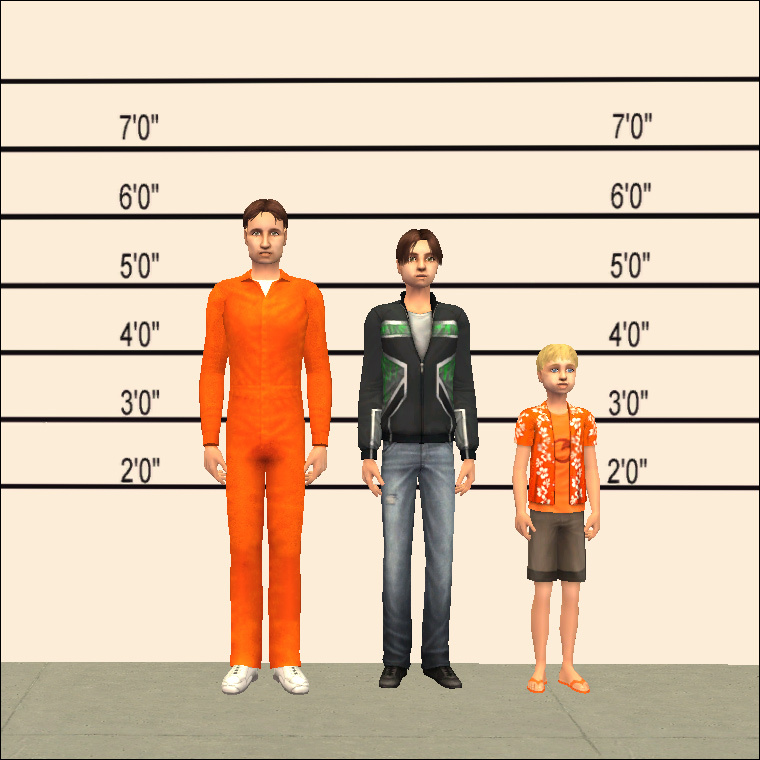 The photo illustrates an adult, a teen, and a child standing in front of the wall. Of course you can use stretchskeleton to alter their heights. The rar file includes the wall with numbers, plus one with just lines to mix & match. The orange jumpsuit my sim is wearing can be downloaded here and women's versions are here.